There is a poll being taken in the city. This writer tries to be fair, but it is obvious whose side he is on. 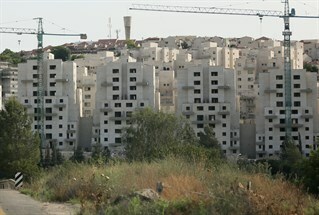 Shlomo Walfish Made Aliya from Woodmere to Ramat Beit Shemesh with his family in Aug. 2008. He is a musician, songwriter and a supporter of Manhigut Yehudit. As someone who made Aliya from the USA to Beit Shemesh 5 years ago, I would like to share my perspective on the upcoming Mayoral candidates in that city. I consider myself a Jew who loves almost all Jews (except for the few evil ones) and I really love Beit Shemesh. It can become the best place to live and a great example to other cities in Israel as a place for all types of Jews. Sephardic, Mesorati, Religious Zionist, hareidi, Russian, American, British, South African, French, Ethiopian et al. If you like the Incumbent Mayor from Shas and how this city has been run the past 5 years, this may not be for you. If you want a change, read on. There are 2 candidates running against the incumbent Mayor. Eli Cohen and Aliza Bloch. There will be a poll this week and the winner will face off the incumbent. To help you decide, if you are a resident of Beit Shemesh, I would like to analyze and compare 3 main points. Eli Cohen comes from a strong organizational management background (senior positions in the Jewish Agency for many years - the Sochnut - and Mekorot Water Company. He has been active in the Likud party. Aliza Bloch is an accomplished school principal who is credited with turning around our Branco-Weiss School. Although Aliza Bloch has done some great work in the school system, one has to ask if this qualifies her to run a city. There are many wonderful and great people in this city, but to run it properly you need experience. However, that is not to say that the additional information beyond knowing how to administrate cannot be learned quickly. Eli Cohen is a veteran Beit Shemesh resident living here for over 30 years, more than double the amount of time Aliza Bloch has lived here. Since he has been active in Likud, he knows his way around politicians. On this point I would say Eli has more of a background and experience in dealing with governmental institutions, million dollar budgets and managing hundreds of employees. This is a very important issue. Moshe Feiglin from Manhigut Yehudit points out that a major problem with Israeli politics is that in national elections we do not have local representation. We vote for a party and the party selects the MK's. The MK's can then do whatever they want with impunity. In the USA and most western democracies, people vote for a local representative. That person with whom they grew up, know and trust - that's who they send to Washington to represent them nationally. If he does good for the people he is re-elected and if not, not. If local people elected Bougie Ya'alon as an MK, and he were chosen to be Defense Minister after that, and those locals were appalled by him voting to release 104 terrorists endangering everyones lives, they would make it clear to him that they will never support him again. This might make him reconsider whom his loyalty is with.The people, or the leader of his party. Eli Cohen has been active in the Likud for many years and has lots of connections, yet for this campaign to be Mayor of Beit Shemesh, he made a bold decision to run as an independent. He did not ask for the endorsement of Likud or any other National group or party. He said that he wants to work for all residents of Beit Shemesh and be accountable to them. Aliza Bloch joined the race and was immediately endorsed and even appointed by the National head of the Bayit Yehudi party Naftali Bennett, Yair Lapid from Yesh Atid, as well as Likud. She will be able to go to them for help. When comparing these two approaches, one should think about where each candidate's primary loyalty lies. It seems to me that balancing the interests of the many different groups in Beit Shemesh is a hard enough job to do. Should a Mayor have to answer to and show loyalty to a national leader or party? Would the party expect that and why would that affect their work locally anyway? On the other hand, while I may agree with many things the Naftali Bennett does in a national arena, and may even vote for Bayit Yehudi, he is not a resident of Beit Shemesh and does not necessarily know what is better for the city. He does want to strenghthen Bayit Yehudi in local elections and Knesset parties run candidates in local elections all over Israel, hopefully with local needs in mind. Dov Lipman is the only local MK and at least has the right to have an opinion on the issue. But my feeling is that his endorsement of Aliza was a result of him towing his party line and supporting his party leader. Feel free to ask him if he feels Eli Cohen is more qualified. This is a great example of how the current political system can put MK's in a conflict of interest. And in fact, as this goes to press, he has endorsed Eli Cohen! Four members of the local Bayit Yehudi faction have crossed lines, and defied the candidate who is the choice of their party leader. Shalom Lerner, Jacky Edri, Dr. Sammy Ben-Adi and Mishael Nechami from local Bayit Yehudi have endorsed Eli Cohen. They have jeopardized their future with that party in order to be free to decide what they feel is best for the residents of Beit Shemesh. This is democracy at it's best and should set the tone for political reform in Israel that will enable people to vote for local representatives who will go on to represent them nationally as well. They all deserve to be commended for standing up for their opinions. Finally comes the issue of electability. A neighbor of mine said how can you support Eli Choen? he doesn't wear a kippah and is not observant. I said, "My Rabbi, Rabbi Berel Wein says 'It's not the kind of Yarmulka that matters it's what's under your Yarmulka that matters'." He said "well he doesn't even wear a Yarmulka" and I told him he is missing the point. It's what's in the persons head, his intentions, that counts. As far as I know Eli Cohen is a Masorati-Traditional Sephardic Jew. He does not desecrate the Sabbath and the two times I saw him, he was giving a Dvar Tora from the parsha and wearing a Kippah. He respects Torah, Rabbis and Torah institutions. To disqualify him because he does not wear a kippah is very small minded. Besides, perhaps if he becomes Mayor of a mostly Shomer Shabbat city, he will begin to wear a kippah regularly. I then asked him, if there was an election for the Mayor of London and a Liberal frum Jew was running against a conservative Christian and he thought the Christian was better, would he vote for the the Jew? He said "well that's different it's not in Israel" I then asked, so when the Gerer Rebbe endorsed Mayor Nir Barkat in Jerusalem against a hareidi candidate, was the Gerer Rebbe wrong? Did he pick the wrong guy? He said "ummm you have a good point"
Although I have no problem whatsoever with a woman in office as an MK or Mayor, I also think it is permissible according to halakha. Unfortunately, not everyone shares that view, especially in the Sephardic circles. We can agree that this is unfortunate, but it is what it is. Beit Shemesh is not Netanya. There are lots of Sephardim and hareidim that realize they can actually have a better quality of life if Beit Shemesh were cleaned up and managed professionally, bringing business and opportunities here, creating more parks, public infrastructure and facilities, more school buildings etc. These people very well may vote for Eli Cohen for a change and step up, but may not be able to bring themselves to vote for a woman and might then vote for a hareidi candidate. I believe all honest polls show that Eli Cohen against the incumbent has a much better chance than Eliza Bloch against the incumbent, for the reasons outlined above. I hope whichever candidate wins the poll will be the one who is able to credibly oppose the incumbent mayor, in what will probably be the last opportunity for the city of Beit Shemesh to remain open and inviting to all Jews, also keeping our real estate value strong. If you appreciate this analysis, please forward it to everyone you know in Beit Shemesh now.